This cherry red plumetis dress is a knee-length look that will have you dreaming of the hot summer holidays. Black buttons and a pom pom trim at the extravagant sleeve and hem ruffles are beautiful extra details. Just when we thought we had enough blazers in our closet arsenal, we find this mega style: An asymmetric and colorful accent on the shawl collar is pulled through a slit in front – wow! 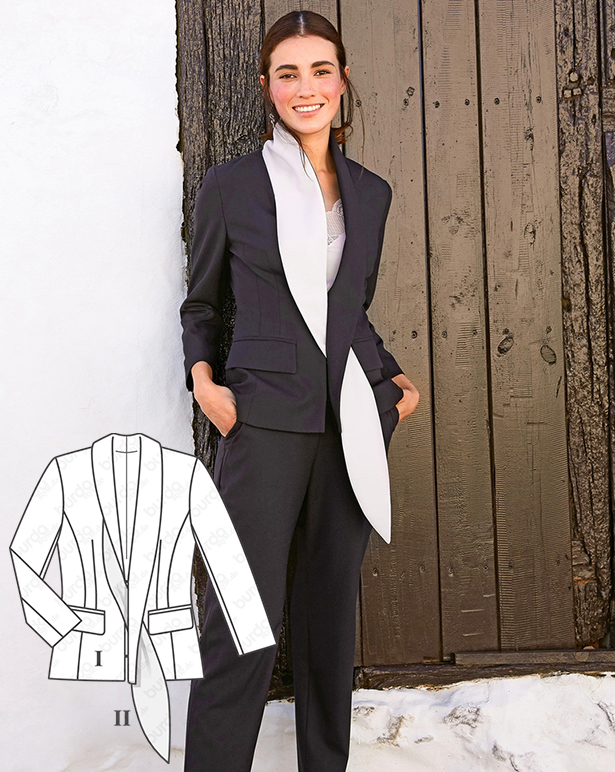 The rest of the narrow-fit blazer is understated. 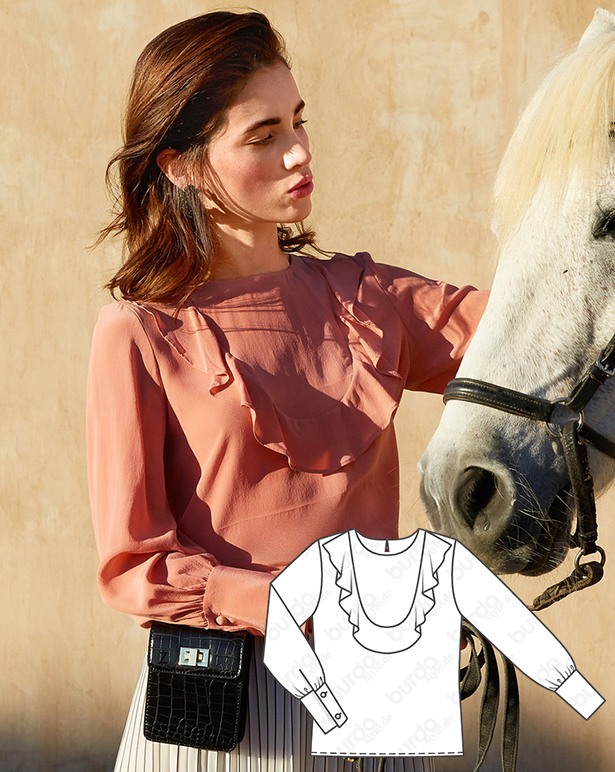 A sumptuous crêpe de chine makes this blouse ultra-feminine. The soft drape of the fabric ensures that the flounce along the plastron stays soft and that the sleeve width gathers deftly into wide cuffs for a beautiful and soft finish. A bit of swing for every step in this tiered skirt sewn with a dotted print. Tying bands are sewn in the side seams for relaxed tying in front or in back. This style can work well for the office paired with a proper jacket or wear it with a cool leather jacket for an edgy vibe! 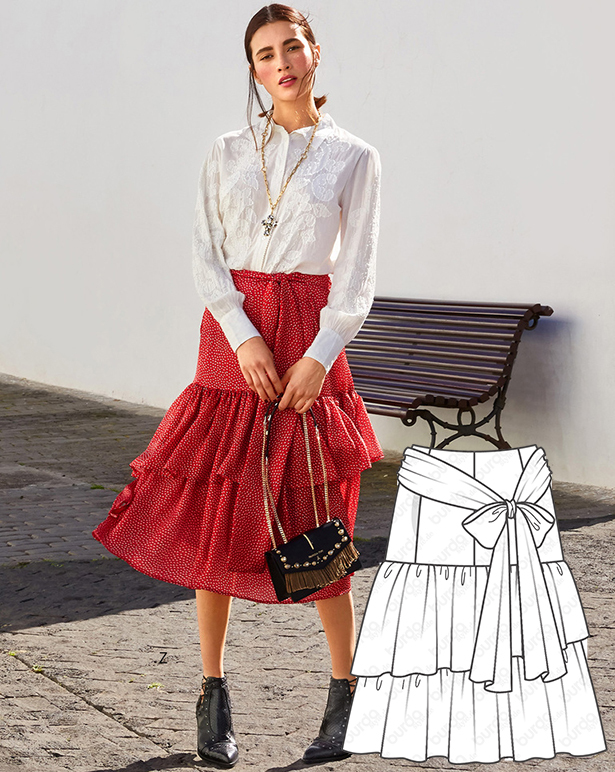 Sew all these feminine styles with the discounted pattern collection bundle here!